Cloud and other disruptive technologies are forcing the traditional role of enterprise architecture - and the enterprise architect - to evolve. Piilo Group director Phil Lotter. Ironically, there is too much focus on cloud strategies, and too little on the architecture requirements, to make the cloud investment worthwhile, says Teraco's business development manager Michele McCann. "Very few enterprises are getting their architecture right, especially in the digital era where cloud computing can only impact it. There is a new strategy within this space as a result of the consumer-driven environment, and even enterprises need to embrace how they structure their architecture to offer access as if they too were a Facebook or Google." She believes there is much pressure on the enterprise architect to evolve too quickly. "The local guys are having to catch up in four years what global organisations have had ten years or more to adapt to." Not just that, IT is hesitant and fearful of these disruptive technologies, as they are being marketed to and driven by the consumer, and they don't always integrate into existing infrastructures seamlessly, as advertised. "Add to this, the word 'cloud' is just too broad," she says. The biggest problem to arise out of this is IT keeping mum about issues. Instead of creating open discussions with business, they rather keep quiet and avoid issues completely. McCann's advice for IT is to remember that they cannot possibly be expected to know everything overnight. They are still in a position to play catch-up. Rather than take it all on themselves, outsource the engineering part of enterprise architecture to a third party. "An outsourcer will give you structure and strategy. Once you have partnered with an enterprise solutions company, you can start learning from them. Enterprise architecture is no longer the realm of the techie - but it's been evolving into a strategic decision-making role," she says. 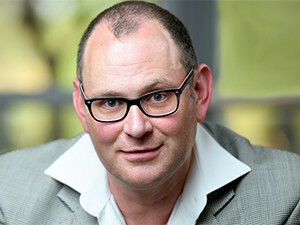 Piilo Group director Phil L"otter has over the past few years experienced the support, but also the wrath of enterprise architects driving a clear IT agenda set by CIOs to consolidate their IT landscapes to reduce complexity and costs. This is both challenging the authority of the CIO and the role of the enterprise architect. "The reality, however, is that business managers are the most active buyers of cloud solutions, with cloud being introduced into organisations without the prior review by enterprise architects. They are seen as stumbling blocks that are ignored by business in some organisations in quick decision-making to achieve business results." Enterprise architecture will become more critical in coming days. L"otter believes the role and mindset of the traditional enterprise architect need to change in order to accommodate this. In progressive organisations, he states, more visionary CIOs have embraced a cloud strategy to maximise the value for their organisations. "In these organisations, we've seen enterprise architects educated on cloud, delivery options, integration and security. They work with business to understand requirements and help introduce cloud in a structured manner. Maturity levels of enterprise architectures vary significantly across South African business, and we believe when applying enterprise architecture in the full sense, it means translating business strategy into an operating model supported by process, people and technology architectures. When enterprise architecture is applied in this way, cloud is seen as an enabler and not penalised by a narrow IT-focused enterprise architecture to gain control over the IT landscape and budget." With the growing influence of cloud computing, the enterprise architect has become more central and critical to the success of the organisation than ever before. This is according to Real IRM Solutions' chief executive Stuart Macgregor. "As the platform is changing and evolving, the conventional mix of skills is becoming less important as knowledge coordination and global collaboration styles are coming to the fore," he says. "These changes require a new technical skill set, as well as the soft skills, business acumen, and organisational change leadership required for the enterprise architect to take the role of facilitator and trusted partner to the organisation's leadership. In essence, this is the move from being predominantly an IT architect to becoming a true enterprise architect." Like L"otter, Macgregor references how the more progressive leaders have truly embraced the new way of working that is cloud-centric and run their EA practice like a business. "The risk of getting it wrong is severe as the business runs the risk of disruption and failure." The role and mindset of the traditional enterprise architect need to change. Macgregor believes the solution lies largely in change management. "The engineering side is pretty straight-forward," he says. "There are lots of methods and sets standards of practice. Change management is the softer side ? the people aspect." His advice is to get the business' key people trained. "There is a lot you can do quickly, but you have to understand the link between corporate governance and IT governance. It's fundamental to get these basics right in the in the information age," he says. "Business and technology are dynamic. Both evolve, although at different paces and time. Enterprise architecture is the art (and science) of aligning the two." This is the opinion of In2IT Technologies' enterprise architect Sumit Kumar Sharma, who believes as the business changes, IT has to adapt and optimise accordingly and vice versa. "Enterprise architecture has witnessed some exciting times as cloud technologies are maturing and moving further into the 'hype chart'. Previously, cloud technologies were always a 'hot' topic for technology experts rather than business communities. I personally have seen a lot of resistance in the early years of cloud, expressly from non-IT staff. However, in the past few years, business stakeholders are increasingly becoming more open to cloud-based solutions. There are many success stories around cloud, and cloud technologies are here to stay and will influence entire business ecosystem, including enterprise architecture." He believes enterprise architecture will become more critical in coming days. "We have seen the commoditisation of IT where one can buy solutions off the shelf, over the internet or take out of a box and plug n' play. Thus, technology architecture is now simpler with cloud technologies. However, this simpler technology landscape further results in more tightly-coupled systems with more engaged customers and more collaborated processes. Penetration of technology in day-to- day life is as much wide as it is deep." For an enterprise architect, the basic rules of the game will remain same - 'align business and technology'. Sharma believes paradigm shifts in technology towards cloud will force enterprise architecture to evolve accordingly. "It will become more fluid and flexible and information will become more important. Business architecture will be more flexible to respond to the dynamic ecosystems, and technology architecture will focus more on strategies, policies and compliance and less on design," he concludes. Companies have adopted cloud services in a makeshift way, pushed by a mandate to create solutions that achieve a competitive advantage. This introduces risks to security and business models, the potential for vendor lock-in, and other challenges. System types designed for specific objectives (e.g., to engage customers or record transactions) can help develop clear guidelines for cloud adoption and use. EA teams developed practices and deliverables for the on-premises world. Trying to apply them to cloud solutions will create frustration and shadow initiatives. EA professionals must adopt new objectives, principles, governance, deliverables, standards, architecture, and development approaches. This article was first published in the November 2016 edition of ITWeb Brainstorm magazine. To read more, go to the Brainstorm website.